Not just anybody can fix a crane that works on overhead bridges. That's why you need to contact the experts at bridge cranes service and repair from Precision Crane and Hoist, based in Fresno, California. From fabrication to complete turnkey installation, Precision Crane and Hoist is the valley leader in all aspects of design, manufacturing, and installation of overhead bridge cranes, and lifting equipment. Our company carefully overseas all aspects of manufacturing from engineering, design, and fabrication to assembly installation, and proof load testing. In California, the state requires an OSHA-documentefd, 54-point safety inspection. A business must inspect and document all its overhead lifting equipment quarterly, or face fines. Let us help you with that as our company repairs all makes of overhead cranes, hoists, and lifting equipment with 24-hour emergency repair service. Our professionals sell, manufacture, and install all makes of overhead lifting equipment. These include bringer cranes, gantry cranes, jib cranes, and all other overhead lifting equipment. Thos cranes can last a good many years with proper care and modernization. Let us modernize your older equipment that may not be up to code, or possess correct safety options by adding radio controls, and variable frequency drives. 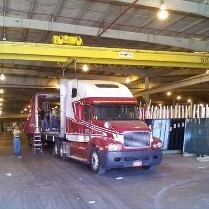 In addition, our crew installs motorized components and electrical equipment. We offer you a cost-effective solution thorough modernization. When bridge cranes service and repair is needed, seek expert advice and services with the professionals at Precision Crane and Hoist. 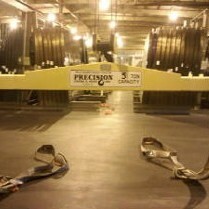 Precision Crane & Hoist Inc.